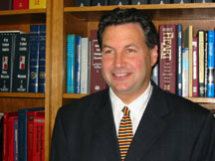 David A. Karlin, Esq., has been serving the Bronx community as early as 1985 when he worked at the Bronx County District Attorney’s Office while attending St. John’s Law School at night. After graduating from law school, he became an Assistant District Attorney, where he successfully tried cases involving kidnapping, armed robberies and assaults, along with cases involving large quantities and the sale of narcotics. After leaving the Bronx District Attorney’s office, Mr. Karlin represented large insurance companies and their corporate clients in personal injury cases. However, for the past 18 years, he has switched sides to aggressively represent those falsely arrested and/or injured by police along with personal injury victims who were injured in motor vehicle accidents, slip and fall accidents, dog bite cases, construction accidents and those injured in various other types of accidents. David Karlin is in a unique position to understand your case from the perspective of the insurance company and the injured victim. Accordingly, he is often very successful at settling your case quickly while maximizing your award. He is accessible to his clients throughout all phases of litigation and has tried numerous cases with excellent results in the Bronx, Brooklyn and Manhattan. To speak to Mr. Karlin or to set up an appointment, call him at (718) 655-2000 or (718) 655-2900. Please email him at [email protected].